Are You An American Express Or Mastercard World Cardholder And Want To Send A Gift For Valentines Day? Enroll In Your ShopRunner Benefit First! 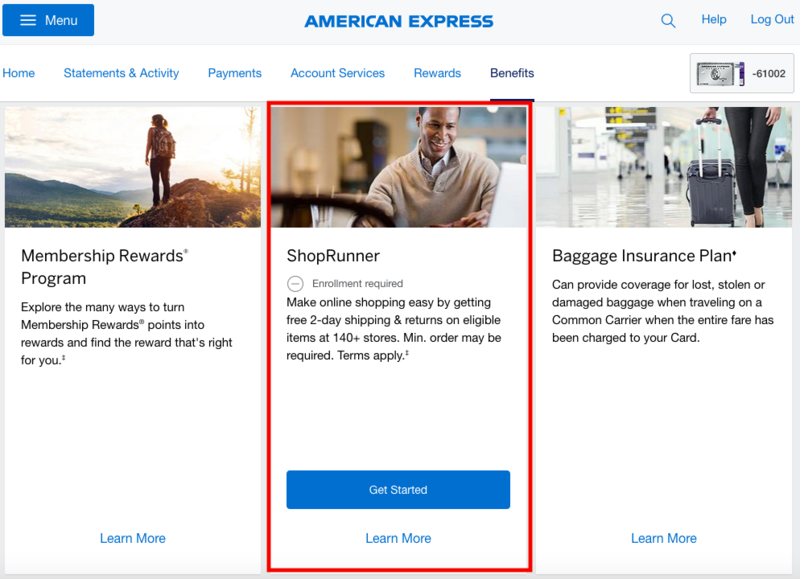 American Express & Mastercard World Cardholders (in the U.S.) have a variety of useful yet sometimes unknown benefits attached to their card and one of them is ShopRunner, a feature that provides free shipping with more than 140 retailers. While this might not sound like much, many retailers have mandatory shipping fees that can’t be offset and for example 1-800 FLOWERS is one of such online shops that charges $14,90 ++ per order that can be saved here. Shipping costs can add up especially during the festive season or these days for Valentines Day on February 14th so enrolling for this benefit can certainly be worth it. 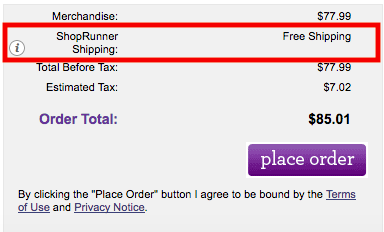 I’ve been using ShopRunner for a few months now and it works really well with any of the online stores listed including my most recent trial at 1-800 Flowers which had (by far) the highest shipping cost compared to all the other times I ordered something. The sign up section with any American Express Card can be found here. Signing up with a Mastercard World or World Elite is available here. The cards need to be U.S. issued and it appears that for American Express they really accept all Amex cards from the highest to the lowest. Pretty amazing! It’s possible to sign up directly on the website of Shoprunner linked above. A detailed description can also be found in your American Express online account under the Benefits section. 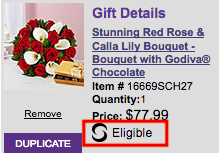 As an extra bonus, American Express currently also has offers for various flower companies under the “Offers” tab. I had 1500 Membership Rewards points for any purchase of $50+ under my Platinum Card and $15 Off any purchase of $50+ under my SPG card. I value 1500 MR points higher than 15$ (if transferred to the proper program) so I ended up purchasing it with the Platinum Card. I’m planning to transfer a big lot to my ANA account in the near future so any extra Membership Rewards are welcome for that. Using all these small benefits available under my card membership helps to justify the annual fee of such a card. Shoprunner is just a small piece in the puzzle but it really adds up if you’re able to combine all the benefits. Shipping costs can add up over the year which is why many enjoy their Amazon Prime membership. As flowers require a more delicate packaging and on time delivery it’s not surprising that shipping costs are higher. Depending on how often one orders flowers if you pay $15 each time you do so that adds up fast! I usually prefer buying such things from a local florist but that won’t help if you’re on another continent at the moment.